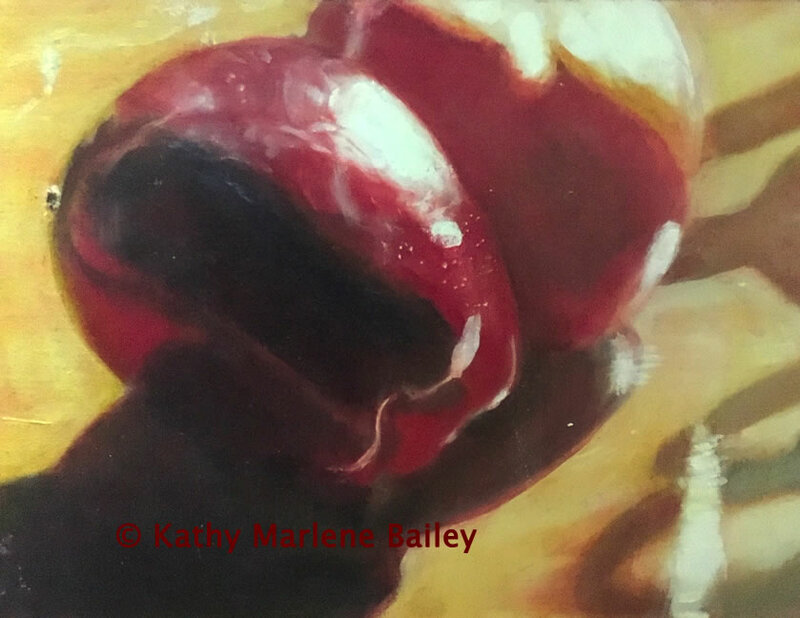 In this full day workshop learn Instructor Kathy Marlene Bailey’s revolutionary process to tackle the likeness of a face using simple methods. You will create sliding lines of an “organic grid” to nail the exact placement of features unique to each person at the very start of your portrait. This process is translatable to any medium, however in this workshop you will be working with completely non-toxic alkyd oil paint on canvas. All materials are supplied for a Materials Fee of $15 payable to the Instructor. If you wish to turn your rendering exercise into a full glaze oil painting, you are encouraged to register for our Wednesday evening five-week course, “Traditional Glaze Oil Painting”. $90.00 (HST included) plus $15.00 Materials Fee payable to instructor at class. Discover the beauty of working with the fascinating and unique medium of traditional glaze oils. Geared to both the absolute beginner and the advanced artist, this short course will guide you through the basic principles of Renaissance glazing, going step by step into layering and building complex luminous colour – just as the Old Masters did. In this five-week workshop, students will unlock the mystery of why the colour qualities of contemporary works are so different from those of the Old Masters, while having fun and leaving with a completed piece. This class uses non-toxic and fume free materials. All beginners are encouraged to have their materials supplied by the Instructor for a Materials Fee of $25. 5 weeks $165.00 (HST included) plus $25.00 Materials Fee payable to instructor at class. Private lessons for beginners from Kathy are available (see below) that can dovetail into CGOS activities, or group classes (see above). Contact Kathy Marlene Bailey to set up arrangements for lessons or classes. Kathy will travel to teach you! WANT TO ENROLL OR LEARN MORE?